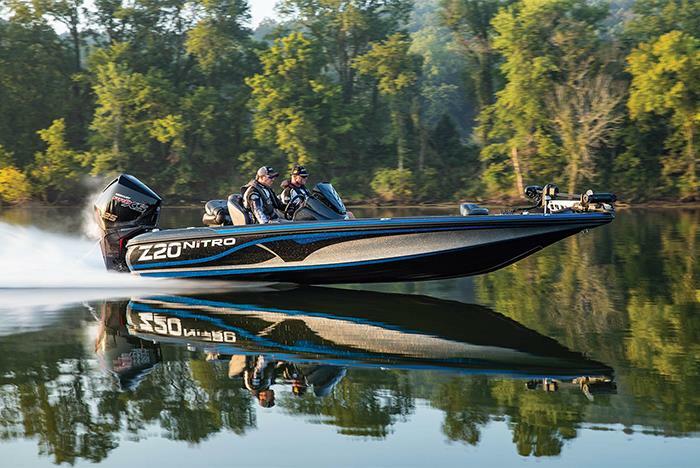 Spend the day out on the lake with everything you need from Bass Pro Shops Long Creek Marina. Guests can rent fishing boats, pontoons, ski boats, deck boats, tubes, kneeboards, wakeboards, and so much more for a perfect day. Snacks, sunscreen and more is also available for purchase at the Marina. Boats can be rented in 4 or 8 hour blocks. Must be 18 years of age or older to rent. 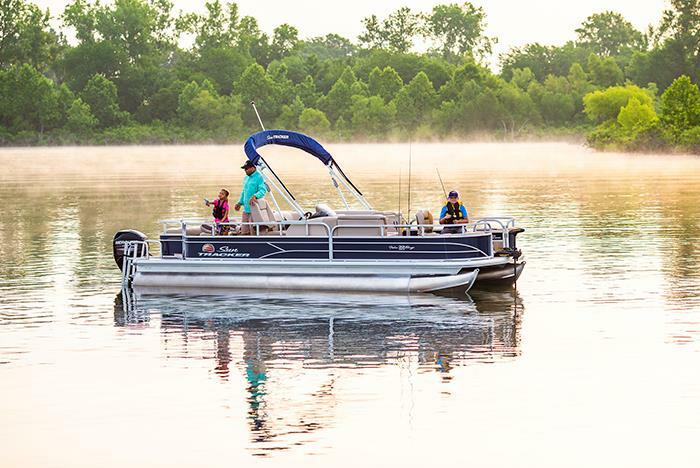 The Bass Pro Shops® Long Creek Marina is the place to start for a great day on the lake! Located just minutes away from Big Cedar Lodge and Top of the Rock on Highway 86 Long Creek Marina has everything you need, whether you plan to spend your lake day fishing, skiing or cruising the shores of Table Rock Lake. 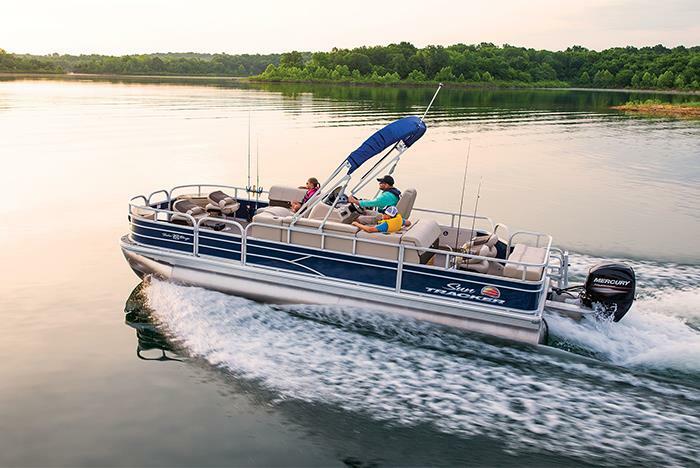 At Bass Pro Shops® Long Creek Marina you will find Tracker Boat Rentals including fishing boats, pontoons, ski boats, and deck boats. Personal Watercraft rentals as well as skis, tube, kneeboard and wakeboard rentals are available. The marina also carries all of your lake essentials such as bait, snacks, clothing, sun screen, and more. You will also find a fish cleaning shack, digital fish scale and the lake's best-supplied tackle and supply shop with items from Bass Pro Shops®. 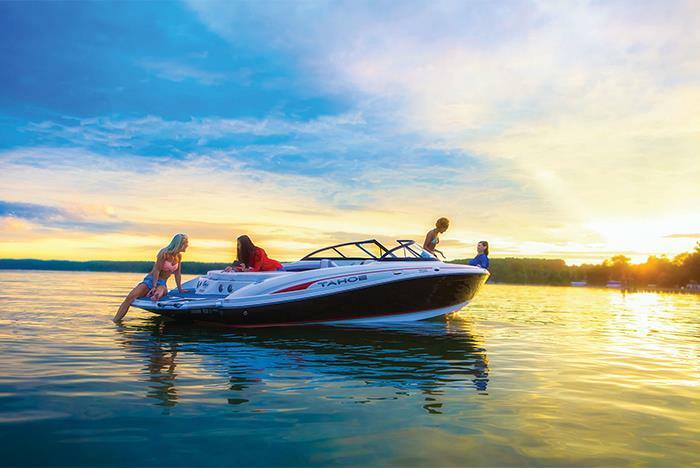 There is no better way to enjoy the beauty and fun of Table Rock Lake than with a boat rental or personal watercraft rental from Bass Pro Shops® Long Creek Marina. Choose from boats designed for fishing, pontoon boats or ski boats. All are available for rent on an hourly basis, or in 4 or 8 hour blocks. 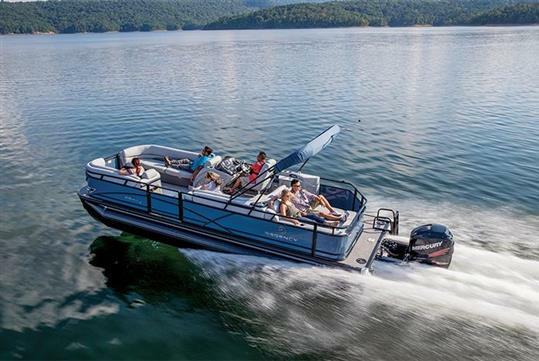 No matter whether you plan to spend some time fishing, skiing, tubing, or just seeing the sights Bass Pro Shops® Long Creek Marina has the boat for you! 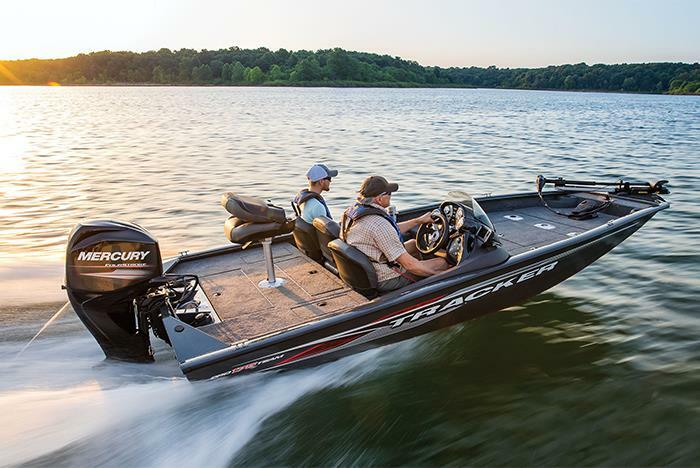 Bass Pro Shops® Long Creek Marina proudly offers the Tracker pro Team 175 (capacity 4) to get you to where the fish are. Fishing rod rental also available. 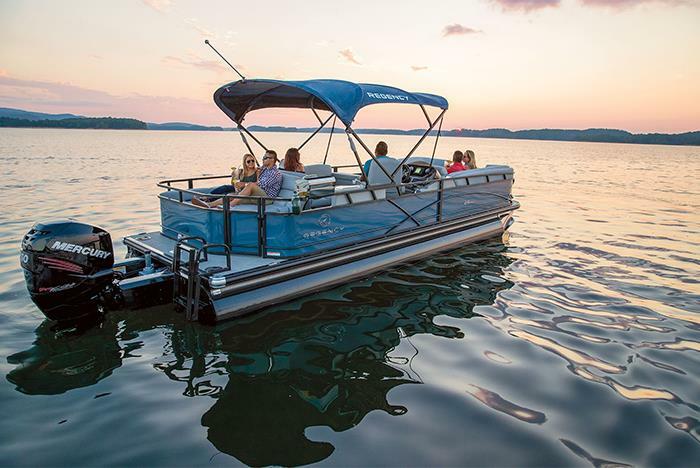 There may be no better way to enjoy family time on the lake than in a pontoon boat from Bass Pro Shops® Long Creek marina. Take the kids tubing, swimming or on a lake tour. Choose from the 22 foot Fishing Barge (capacity 8) or the Regency 254 (capacity 12). 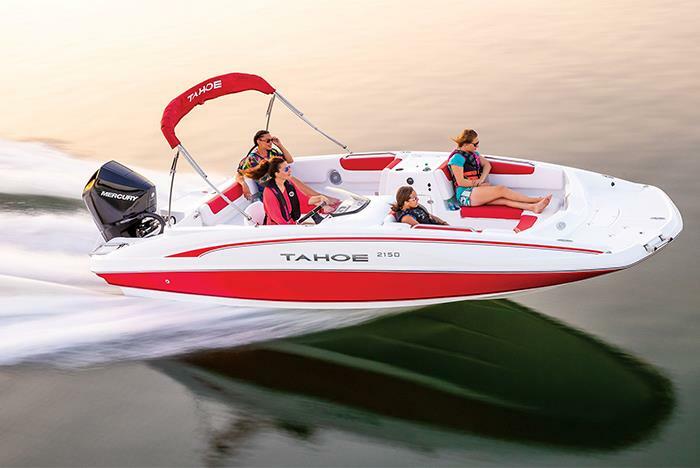 Are you ready to try a little skiing or wakeboarding? 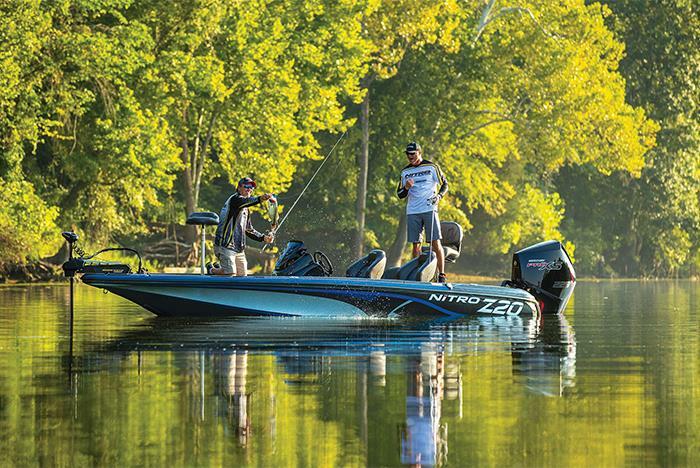 The Tahoe 2150 from Bass Pro Shops® Long Creek Marina is the choice for you! 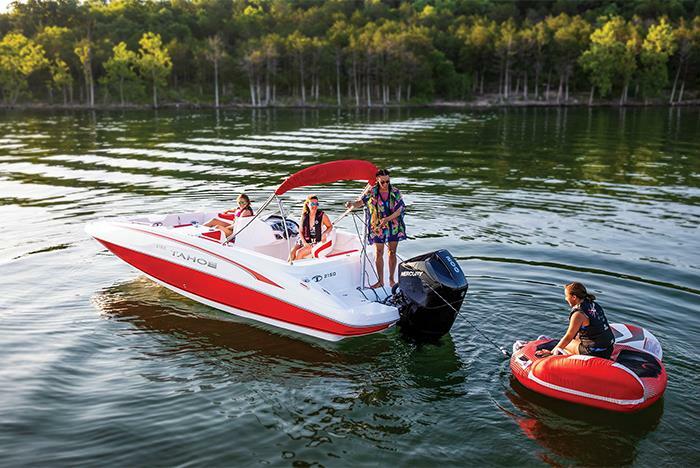 Perfect for water skiing, wakeboarding, tubing or a quick tour of Table Rock Lake. * You Must be 18 years or older to rent any watercraft at Long Creek Marina. Gas and oil not included. Licensing requirements apply, please see FAQs for more information. Are there any additional fees for a rental? Yes, gas and oil are not included with the boat rental. Do I need a boating license? Yes, only if you were born after January 1, 1984, you must have a safety identification card issued by the Missouri State Water Patrol (along with a valid photo I.D.). 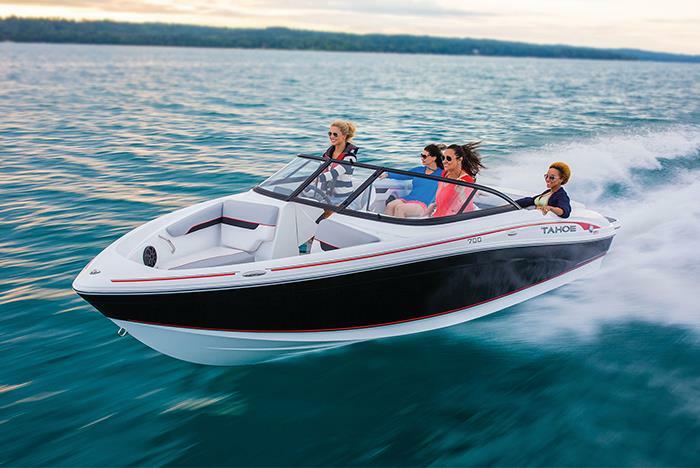 Non-residents will need a boating safety certification card from their home state, United States Coast Guard Auxiliary, U.S. Power Squadron or Missouri State Water Patrol. Where can I get a boating license? Long Creek Marina now offers guests, whether they are residents from other states or from Missouri, the opportunity to purchase a seven-day, one time only, Temporary Boating Certificate. The applicant must have a valid driver’s license and meet all other mandatory requirements for boat rentals. You can also visit www.mswp.dps.mo.gov for ordering the home study course. *Any person convicted of Boating While Intoxicated, Reckless and Negligent operation, Failing to Stop on Signal of Water Patrol or Leaving the Scene of a Vessel Accident, shall enroll in and successfully complete, at his or her own expense, a boating safety education course; file with the court proof of successful completion of such course and submit a certified copy to the Water patrol; and not operate a vessel until such filing. Can I rent accessories with the boat rental? Yes, we offer skis, tube, kneeboard, wakeboards and rod rentals for a fee. 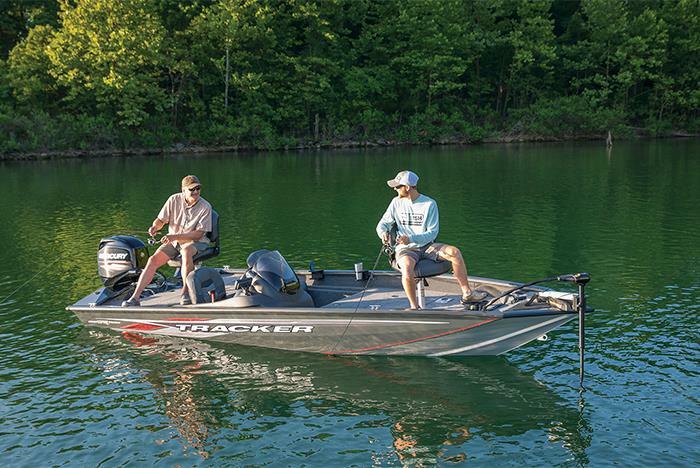 Do I need a license to be able fish on Table Rock Lake? Yes, you can purchase a fishing license at the Marina. They offer daily fishing permits for $7 for residents/nonresidents 16 years of age and older. A resident license is $12 and trout stamp is $7. Does the Marina offer a gift shop? Yes, the marina carries all of your lake essentials such as bait, snacks, clothing, sun screen, and more. You will also find a fish cleaning shack, digital fish scale and the lake's best-supplied tackle and supply shop with items from Bass Pro Shops. If I'm under 18, can I still rent a boat? No, you must be at least 18 years of age with a valid drivers license to rent a boat.